Curious about The Elder Scrolls Online ahead of its next expansion? Now's your chance to give it a look with a free weekend. After last week's spring sales, most PC gaming retailers are looking to settle down for a bit. There aren't as many huge sales going down this time around, but there are a couple of good deals to monitor. The Elder Scrolls Online is on to its next big expansion, so some might be curious as to whether it's worth jumping in. Thanks to Steam, you can get in on the action right now for free from now through April 3. If it appeals to you, Steam also has it on sale. If it doesn't, there's another pair of free Steam weekends going down. 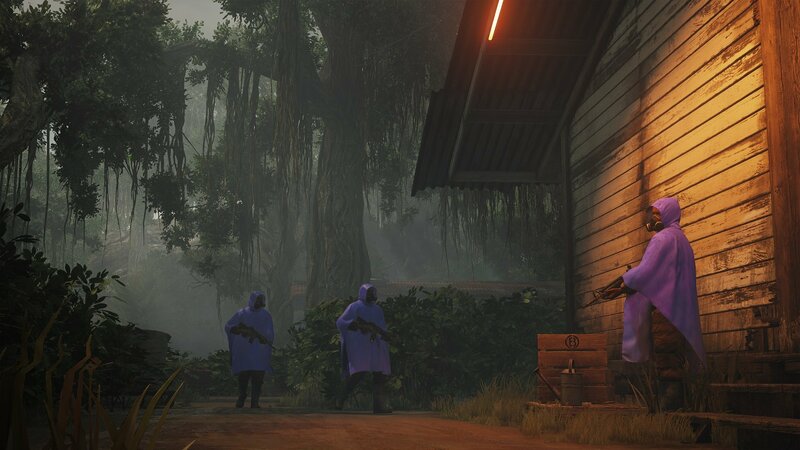 With Killing Floor 2 and Rising Storm 2: Vietnam each getting new content, both games are free to play on Steam from now through Sunday. Elsewhere, the Humble Store has a handful of recent releases at discounted prices, including Hitman 2 and Fallout 76. And over at Blizzard, shoppers can find some nice deals on World of Warcraft's Battle for Azeroth expansion, Diablo III, and the StarCraft II campaigns. Or pay $1.00 for Skullgirls and all of its DLC. These activate on Steam. Find the full list of deals featured during the Green Man Gaming Ubisoft Sale. 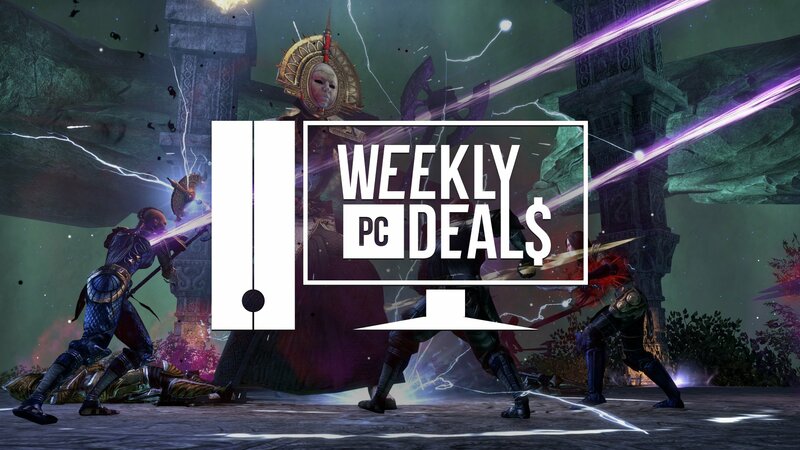 Find the full list of deals featured during the Green Man Gaming Square Enix Sale. Or pay $1 for Serial Cleaner, Stealth Inc 2: A Game of Clones, The Little Acre. Pay more than the average $7.01 to get Human Fall Flat, Smoke and Sacrifice, and Stikbold! A Dodgeball Adventure. Pay $15 or more to also receive For The King and Bomber Crew. These activate on Steam. Or pay $1 or more for Creature Romances, Kokonoe Kokoro, Highway Blossoms, and Just Deserts. Pay more than the average $9.58 to get Ladykiller in a Bind, Purrfect Date, and Genital Jousting. Pay $10 or more to also receive G-senjou no Maou - The Devil on a G-String Voiced Edition and Sunrider Collection. Pay $15 or more to also receive CLANNAD. These activate on Steam. Find more of Bethesda's top games during the Humble Store's Bethesda Publisher Week Sale. Find more of the top WB Games titles during the Humble Store's WB Games Publisher Sale. Feel the POWER with some of Ubisoft's classic games. Find the full list of games featured in the Ubisoft Store's Power Sale. These are always good posts. Much appreciated!